If you want a successful business you need to advertise that business. No matter if you have a product to sell to others or have a service you can perform for a fee. One of the best ways to do this is to advertise with a Google Adwords program. If you have the budget, a Google Adwords program will help you get the quality traffic to your site to make the sales you need to grow your business. How this all works is by CPC, or cost per click. This means you only pay when someone clicks on your ad to get to your site to see what you are selling. The ad you plce must be compelling enough to lure your customers to you. 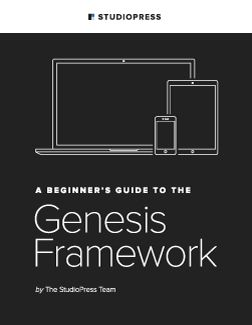 If you are new to this type of advertising, you should begin by using the starter edition. It is easy to set up and get started. Go to Google and select “starter edition”. You will be prompted to target the type of customer you want by choosing the region you are in and the language spoken in that region. Next, you will be prompted to create your ad. You should have already put some thought into this beforehand so you know what to write so you do not waste valuable time trying to come up with something on the fly. You will need to fill in the URL for your site so that you can link your new ad to it. How else are you going to get the customers, right? Next, create a headline for your ad. If you have put thought into this you probably have a good one already. Make sure that it hits the high points of your business and your product or service. Use relevant keywords. Prior to setting all of this up you should also have done some keyword research to find relevant keywords you can use to bring in the quality customers that will convert to sales. Keyword research is time-consuming but if you find that special one or two that work well for you you are way ahead of the game and will have customers like you never thought possible. You can try out many different keywords at different times to see what works the best for your business. Next, you will need to set up your budget. Budgets can be set anywhere from $30 per month (which will not really get you any where fast), on up to tens of thousands of dollars per month. The higher you set your budget the more chances you have that someone will click your ad. Now you will be able to set up your account by entering an email address and password. If you already have a gmail account then you can just go ahead and use that one to do all of this. All that is left now is to activate your account. You may be sent a confirmation email to do this by clicking on a link in that email. Log in and submit your accurate billing information. You are now a proud owner of an Adwords program. So, are you considering adding another income stream to your online business by becoming one of those highly paid adwords professionals? Yes, it is possible for you to become an adwords professional, or you can use your new found knowledge to increase the effectiveness of your own campaigns. Either way, taking the time and effort to learn more about using Adwords can be a great investment of your time. And the really cool part is that it won’t cost you anything more than some of your time… it is free to sign up. Just go online to: www.google.com/adwords/professionals/. Here you can sign up for free, if you aren’t working for a company and are just going through the training as an individual. Once there, you can find everything you need to learn more about adwords. You can take as many or as few modules as you want, but if you want to achieve the certification you must pass the fundamentals part as well as one other module (this is what you have to do right now, check the site, things may have changed since this article was written). You may not have realized it but there are other pay per click, PPC, programs available. Both Bing and Yahoo also have similar advertising programs, though they are called by different names, Google’s program is the one that is called Adwords. The point is that much of what you learn from one program can also benefit you with the other programs. There will, of course, be differences but there will also be a little overlap for each one. That means that much of what you learn during the Google Adwords certification program may also help you get more results from other PPC campaigns at other companies… and it is all free! Once you get your certification you basically have two choices: you can use your knowledge for your own benefit and increase the effectiveness of your own campaigns or you can use your knowledge and make money by becoming a consultant and helping other people with their campaigns. Actually, you have another choice, you can do both: improve your own campaigns and become a consultant and help others! Adwords Professional Course Is FREE! As you can see, there are a lot of advantages to taking the time to go through the Google certification program. Learning how to optimize a pay per click campaign will not only benefit your own campaigns, it may also help you make money by increasing the effectiveness of other peoples campaigns. When you consider that the course won’t cost anything but some time and effort, that can be a huge return on your investment. Again, some of this information may have changed since I wrote this article, so make sure you carefully look over the current certification information on the site I gave you above. Adwords professionals can make a lot of money whether they are tweaking their own campaigns or helping others get more out of their campaigns. Either way, it may be a smart move for you to go through. While it can be confusing and overwhelming at first, taking the time to figure out what changes to make to increase your adwords quality score can help you get a much bigger bang for your advertising buck. What that means is that you can invest the same amount of money in your advertising budget but actually get more clicks, if you have a higher adwords quality score. Pay per click advertising is a very popular advertising method that many businesses use to build their business and increase their profits. If you set up your pay per click advertisement carefully you can make significant profits from your online or offline business. Pay per click or PPC advertising has been a very lucrative way for many people to generate traffic to their website and make money online. Yahoo Search Marketing was the first PPC advertising to emerge and now others have joined the party. PPC advertising makes it much easier for small businesses to compete with big businesses on a worldwide level. However, many people have used pay per click advertising and lost a lot of money because they haven’t taken the time to create ads and monitor their performance. Google Adwords is now the biggest pay per click advertising company but that doesn’t mean that you shouldn’t use the others. Let’s take a look at the top three pay per click advertising companies. 1. Google Adwords is the biggest in the field and can have your ads up and running in minutes. With Google Adwords you do not need to wait for days for your ad to be approved before it is shown, it is usually up and running as soon as you finish creating your ad. Google will review your ad and if it doesn’t meet their standards it will then be removed. Google has more functionality than the other search engines PPC ads and you can test your headlines, keywords and ads overall to see which ads convert the best. 2. Yahoo Search Marketing, although it was the first PPC advertising company, is not as big as Google Adwords. It is still a very good option for advertising and your ads still receive a lot of traffic. There is no reason why you need to choose just one search engine for your pay per click ads as the more you use the more traffic your ads will receive. Yahoo search marketing gives great options and can be very successful for promoting your business. 3. Bing (previously MSN) is probably on equal par with Yahoo. The Bing PPC advertising is very similar to Google Adwords but doesn’t quite offer as much functionality as Google. Bing PPC is still very effective for business promotion and as a way to earn money online. These three pay per click advertising companies draw more than 97% of search engine traffic and you can grab a piece of that traffic with pay per click ads for your business. Only spend as much as you can afford and monitor your ads to see which ones are performing well. Those ads that aren’t performing as well as you like should be tweaked until you start seeing the results you are after. Pay per click advertising is a great business tool for any online business. If you don’t know what you’re doing when it comes to running a Pay Per Click (PPC) campaign, it will cost you… a lot. It’s so very important that you learn how works. There are a lot of variables that come into play when you set up an Adwords campaign, it is not a couple clicks and watch the traffic flow, far from it. You need to take some time, do some testing and repeat until you’ve got your campaigns dialed in. Of course, if you have the budget, you can hire a firm to manage your campaigns for you. There are many places that will do this full time for you. They can set up all your campaigns, write the ads, adjust your daily budget, find the keywords, etc. It’s not cheap but if you have more money than time it may be a good option for you. The most important element of any Adwords campaign is picking the right keywords. If you’ve used PPC even a little bit you no doubt realize that some keywords will cost you a lot more per click than others. In order to save yourself a lot of money, but still get solid click through rates (CTR’s) you will need to find those keywords that ‘fly under the radar’. They will still get a decent amount of searches but they aren’t as competitive. These ‘long tailed keywords’ are actually keyword phrases. The one or two word keywords are almost always way to competitive for the average small internet marketer. Most smaller online marketers simply don’t have the budget to be able to compete on these keywords. Another thing you will need to keep in mind is that all the major search engines, Google in particular, love to change things up. They really aren’t that concerned with the smaller online advertisers or the affiliate marketers. They are catering more to the people who actually do the searching as well as the big boys, the advertisers who spend millions a year. For that reason it’s tough for the little guy to keep up with the constantly changing rules which can make managing any Adwords campaign a real challenge. If you want to lower your pay per click cost on a certain keyword, provide a quality ad. One of the ways Google decides how much everyone will spend on a certain keyword is by their quality score. Now, who in the heck knows exactly how they figure that but one component is your click through rate. The more people who actually click on your ad, the better your score will be and the lower your bid price will be. The way Google looks at it is that if a lot of people are clicking on your ad it must be very relevant to the keyword you have targeted. That’s what they want so their searchers are kept happy. If you provide that relevance they will reward you by giving you a better quality score which can translate directly into lower bid prices for that keyword. Google can be a little like the land of OZ, strange and mysterious and you never know what’s waiting around the next corner. To make your life easier try to find a professional to help you with your Google Adwords campaign management. If you can’t do that than at least keep these tips in mind when you set up your next campaign. They may not be famous but there are many Adwords experts making a great deal of money from Google pay-per-click. This form of marketing represents the principle source of income for many an internet marketer, whether they are an expert or not. If you are considering internet marketing for your own business or someone else’s, there is some basic information that you need to know. It’s non uncommon for new online marketers to fail in their first attempt or attempts to profit from pay-per-click advertising. This is basically because they haven’t done enough research, read any books, or taken any courses on how to do this form of advertising in the most effective way. Setting up a successful campaign takes some learning and quite a bit of time in the beginning. But once you have an optimized campaign, you can step away from it for longer periods of time and let it work for you without you constantly checking it. Adwords experts will tell you that when you are first setting up your campaign, don’t worry too much about all the details. Worry about getting registered and started first. You can then always come back and change anything necessary. Start out with a very small campaign (just a few Adwords at first) until you learn how to do it right. It doesn’t make any sense to go and do many ads if you aren’t sure exactly what you are doing yet. In order to be successful with Google Adwords and pay-per-click in general, you must make sure that you understand how important keywords are to your campaigns. You should spend the appropriate amount of time on finding and using the right, targeted and relevant keywords to whatever it is you are promoting. Luckily, it’s very easy to find this information and you can use free tools to do your research. But it does take time to do the research and then create your ads around what you have discovered. Generally when you are just starting out and don’t have much of a budget, you should choose uncompetitive keywords. These are the ones that people do type in but not so often and the reason that you are better off using them is because they cost less. Will it take longer to get clicks? Yes. But if you have little money to spend, you do not want to waste it competing for the competitive keywords that cost too much. Start out small and as you begin making money with your uncompetitive keyword campaigns, you can then invest that into more competitive PPC marketing. Adwords experts will also tell you that it is crucial to track and split test your ads so that you know what is working and what is not. Don’t go by your instincts of feelings. Let the statistics tell you which ads are performing well. You will need to constantly tweak your ads to get the best possible clicks and conversions. Invest some time and money into an instructional guide or course before you let PPC get the best of you. When most people hear PPC, they think Google Adwords. And for good reason. . .In the US, Google leads the top PPC sites and now controls 74% of all searches in the US. Yahoo holds 11% of the market share and MSN 9% of the pie. The remaining 6% goes to all the other search engines combined. While Google is probably the best place to start with your PPC campaigns, there are reasons to consider some of the other search engines, if not now, then later on. Why start with google? First of all, it’s extremely easy to get started with Google and the initial one-time fee is minimal. Another benefit of using google is that it’s very easy to track which keywords are converting and which ads are getting the best click-through rates. Also, the sheer amount of traffic you’ll get with google is the main reason you want to start there. If you can’t get the results you want with Google Adwords, you most likely won’t be able to do it with any of the other search engines either. When should you consider other PPC Sites and which ones should you choose? Once you make some money with Google AdWords, move your most profitable keywords and best ads over to the other PPC sites. MSN is definitely on the rise and currently matches or betters the search results that Google does today. MSN is also spending about 20 times more than Google on advertising so it’s likely that it will win more market share from Google over the next year and continue to do so. As with Google Adwords, the initial start-up fee with MSN is minimal, making it easy to get started. Yahoo! Search Marketing is generally considered to be a little more expensive but offers fantastic tutorials and support and provides detailed reporting tools to help you track your ads’ performances. If you want fast results and you’re willing to pay top dollar for a well-known site with a worldwide reputation, Yahoo! Search Marketing is the place to advertise. 7Search is another up and coming PPC Site with traffic reaching up to 1.5 billion searches a month. The company also claims better Return On Investment than either Google or Yahoo! because of their high quality traffic sources. The initial start-up fee is $25.00. Why move to other top PPC sites? The advantages of using Google Adwords are clearly ease and popularity among information seekers all over the world. If you are new to PPC, you’ll definitely have to start advertising with the very low searched keywords on Google Adwords because the competition will be extremely high for those terms that most widely sought online. It’s getting harder and harder to make a low bid on Google Adwords and still come up in the top rankings. 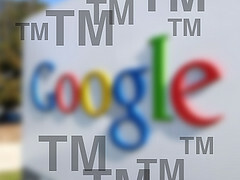 Google is also frowned upon often by its advertisers for its changing of rules without much (any) notice. This is what companies who own 75% of the market share have the luxury of doing. These top PPC Sites should eventually all be included in your marketing plans for the most thorough coverage and results. Creating an effective ppc marketing campaign is a combination of art and science. Quite frankly, anyone trying to jump into ppc marketing without much study is very foolish because of the great amount of competition. With that said, if you’re one of the smart ones and invest in educating your self on how to create effective ppc search engine marketing campaigns then your chances of success greatly increase. 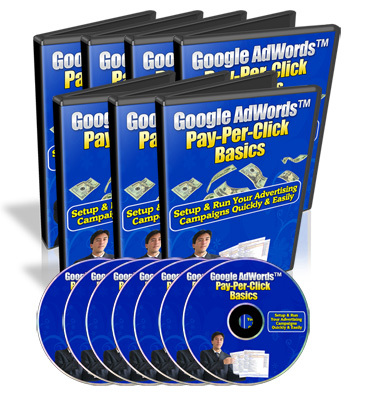 There are some ppc videos and I suggest a great ppc keyword tool because of the instruction that comes with it….. please consider purchasing these things….. also, if you really want to learn from the best check out Perry Marshall’s PPC Course and marterial on ppc marketing, he’s the guy the guru’s go to! PPC search engine marketing is one of the fastest growing marketing campaigns on the internet today. It is a way for you as a small business owner to attract customers to your site quickly. PPC is basically a set of keywords that you have bid on with click agencies to use on your site. Each time a customer clicks on your link it will cost you so you need to be sure you have a site that will appeal to the customer so you do not lose out on possible revenue. There are also other factors that you will need to keep in mind when you are creating your PPC marketing campaign. First of all and probably one of the most important pieces of knowledge is to know what your niche. In order to know what your niche may be you will need to know what search term seekers are looking for when they search in the search engines. When you come up with as many keyword phrases that describe your site or product, this is one of the handiest tools or methods that you could understand. When you have your basic keyword phrases and words set you are then ready to use the internet to find even more keywords and phrases that will describe your site or product. The more keywords you are able to find for your site, the higher the chance of you appearing high on the search engines will be. There is also free software available on the internet that will help you in creating your keywords for your site, however, a tool such as Keyword Research Pro will provide, not only the keywords, but the teaching you need to understand how to use and pick the proper keywords for your PPC Search Engine Marketing campaigns. When you are ready to bid on your keywords for your PPC Search Engine Marketing Marketing campaign the more popular keywords will cost more, instead try using variations of low competition words for you to bid on. The low competition words cost less and are most generally just as effective if they are used correctly. The best tool that will help you with finding your variations of low competition keywords is a keyword analyzer. 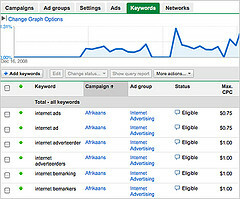 The keyword analyzer such as Keyword Research Pro because it is a great tool because they will not only give you a list of alternative keywords to use but it will also display the number of times that keyword combination was searched on average. This will give you a good idea of what you should bid without going over your PPC marketing budget. It will also allow you to bid on keywords and phrases that have not been used. will teach you how to dig up money keywords for your PPC Campaigns! The next step to a successful PPC marketing campaign is your advertisement ad Most of your PPC Search Engine Marketing advertisers only allow you a set amount of words which will consist of only 125 words so that they do not appear to lengthy to the potential visitor. You will need to take this into careful consideration when you are creating your ad….. so, you do not have a lot of room to give a lot of information about your product, thus the key is to give the main points in an engaging way. You want to be able to catch your reader’s attention and make them click on your link. The more engaging your ad is the more apt your visitor will click on your link. PPC Search Engine Marketing teachers and mentors such as Perry Marshall teach everything you need to know about creating an effective PPC marketing campaign, they can literally teach you how to make thousands of dollars using PPC because they’ve been doing and teaching ppc it since the beginning of Google Adwords inception! Once you have created your idea it is a good idea to test it. A good way to do this is to write two different ads and run them side by side and see which ad gets the most clicks or sales. Once you have found which ad will work better for you in general try and different ad and see if your results are even better. You should keep doing this till you find an ad that is getting the most results for you. One you have found the ad you are going to use you can begin your PPC marketing campaign. These are just a few of the things that you can do to create a successful PPC marketing campaign. If you follow these steps in order you will have a successful campaign that will gain you lots of revenue. Pay per click advertising, or ppc for short, is a great way for a person to gain visitors to their site when they need traffic quickly. PPC search engine marketing placement can be also risky if you use poor management. Using poor management when you are using PPC can cost you a fortune, yes it will generate a lot of visitors to your site but you will have nothing to show for their visit. When you are working with PPC advertising there are a few things that you need to know before creating a successful PPC marketing campaign. First of all before you should even begin a PPC search engine marketing placement campaign you need to be aware of what PPC actually is. Without understanding this your campaign will not take off. PPC is actually pretty simple to understand. What PPC basically is, are search engines and services providing listings of sites on a per-bid basis. PPC is an addition to their regular search engine but are still powered on keywords that are found on your site as well as your link popularity. If you placed the highest bid on a set of keywords then you will rank as number one in those paid listings. Check out the video tutorial videos for Google Adwords on this page….that will help you gain an understanding of ppc search engine marketing placement and help you make the most of your investment. PPC can cost a fortune though. This is because it is easy for you to get caught up in a bidding war over a set of keywords that you are set on using. In most cases you end up spending a lot more than your potential return. Some PPC engines will offer you auto bidding features which will automatically increase your bid amount each time you are outbidded. This may sound good to you at first but in the end you will discover that it is not. That’s why it is very important to choose the proper keywords, a tool such as Keyword Research Pro is perfect for digging up keywords that will get quality but cheap clicks. Another drawback of PPC is that it can be hard to measure. Some search engines do provide conversion measurement tools. These allow you to track whether or not your PPC is generating the desired results or not. These tools though are generally not 100% accurate. Also another thing of PPC that you need to be aware of is the junk traffic. Most of these PPC sites often will distribute a portion of their results to various search engines. These are the less known search engines and while the traffic results may look good the income that will not be generated is not. The final drawback of PPC is that it does not scale. If the traffic to your site would happen to increase the cost relating to the increased would also increase. Your average cost per click would remain the same mind you but your overall cost will be higher. As a result you will find yourself at times paying more for the service than you are actually bringing in.